I have previously written that knowledge of spirituality today is very little, and as such female spirituality is never brought up in discussions on Islam. I was asked why that is. This is an interesting question and one I touched on in my final year at university. The answer, I found, is both because of how Islam is perceived on the outside as well as how Islam has largely continued on the inside. In terms of religion in the present day, although many believe the developed world to be mostly secular, I found in my research that there’s been a growth of new religions and the resurgence of interest in human spirituality. This is believed to be due to a backlash against the Enlightenment and modernity. In an age of globalisation many individuals in the developed world have lesser ties to the community, there’s a breaking up of the family unit (leading to a lack of identity), more focus on fiscal gain, and a lack of ‘standing for something’. The individual therefore has to find other ways to feel at peace. Followers of niche religions or agnostics (who believe in something but don’t follow any particular religion) see religions such as Christianity and Islam as rigid dogmas; too controlling, too backwards, not providing a way for their individual problems/needs to be addressed. Although many Muslims would argue against this, we must understand that the Western view of Islam has always been rudimentary and I would argue that Western scholars haven’t made much effort in the past to understand Islam beyond seeing it from their knowledge of Christianity. If you add this to the Enlightenment’s criticism of, and moving away from, religion you have to question how Islam could have stood a chance in being recognised for the depth of its beliefs. I had this experience with my own lecturers; those of which I spoke to about Islam during my research had no idea about its spirituality or complexities. It’s no surprise then that individuals who are identified with Muslim backgrounds and who are causing harm in the world bring about a questioning of the tenants of Islam itself rather than their actions being seen as perversions of religion or as politically motivated with political objectives, as my research found was almost always the case. Further to Islam’s alien position in the Western world, the appearance of Muslim women is seen from a black and white perspective in which the spiritual notion of hijab is never once brought up, but rather female attire is seen as oppressive or the result of fanatical ideology, or being socially motivated. This is not just the case in cultural traditions, but also in those Muslims claiming to be following a ‘pure’ and ‘untainted’ version of Islam. I’m sure that many of you have noticed the literalism with which Islam is approached nowadays by some. 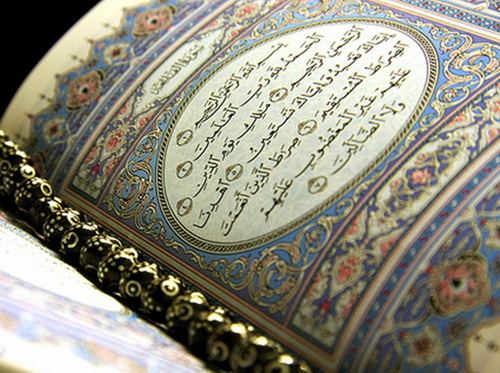 I’ve come across writers commenting that Muslim literalism has been a result of the Enlightenment and Rationalism because of which some have approached their faith from scientific perspectives, using the Qur’an to verify mathematical and scientific notions rather than using it as a practical and spiritual guide to cleanse the heart. Along with this many have tried to ‘simplify’ the religion, leading to a kind of reductionism of teachings, principally the sayings of the Prophet Muhammad (peace be upon him). Even worse, some have taken it upon themselves – disregarding any scholarly lineage – to make their own interpretations, leading to chaos. Spirituality and inward knowledge has been pushed aside in all of this, reducing worship to rigid, meaningless ritual at best, and incredible violence at worst. Before I end up going too much into literalism, I’ll quickly bring it back to female spirituality. I’ve heard from many sisters recently, and even from some brothers, that there’s a need for more female scholarship, and I wholeheartedly agree with this. This demand, it could be said, has also brought a revival of history which was forgotten of late regarding female contributions to Islam – just as I learnt of Rabia al Basri. And so I do believe things are changing.